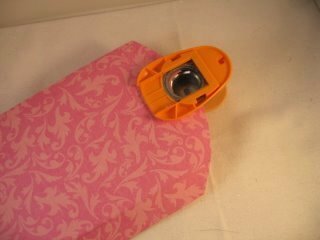 These easy to make Pillow Boxes can be used for any occasion, and they are easy to do. These really useful little boxes can be used for any occasion, and if you have a practise with some cheap white card then you can keep the Template for future reference. 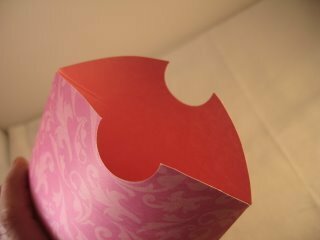 They are another way to make Favor Boxes to compliment your wedding table decorations. Just match them to your colour scheme and add a small gift for the Bridesmaids. 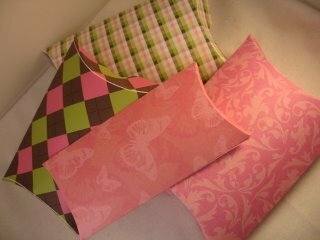 Making them with double sided card will keep the inside as pretty as the outside. And you can add any decoration to them you wish. 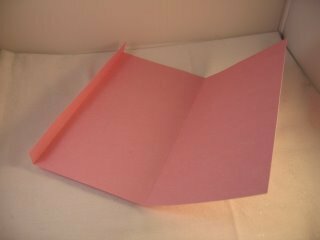 For the purposes of this tutorial I have used a piece of card that is 26cms x 21 cms. 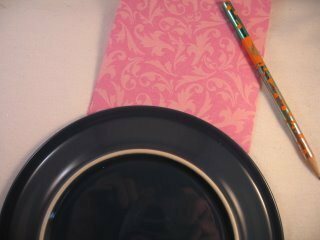 Along one edge measure in about 2cms (1/2") then score and fold inwards. 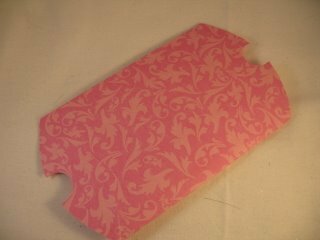 As long as you have this strip to one side of the card, which is where the glue will be added, the other panel can be the width you want. 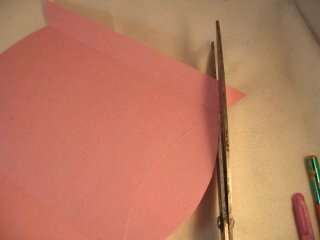 All you are going to do is fold this other panel in, to the creased line you have just made, to create two equal sized panels. 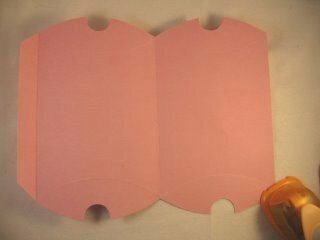 Score and fold it inwards and crease sharply with a bonefolder. 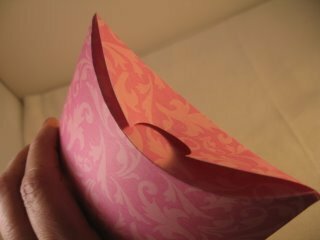 Fold the card closed and with a plate, lightly draw an arch to the outer edge of the box and trim around it. Move the plate to to the bottom of the arch and create another arch which needs to be around it. This score line is where the card will be folded inwards later. Repeat the process at the other end of the box. 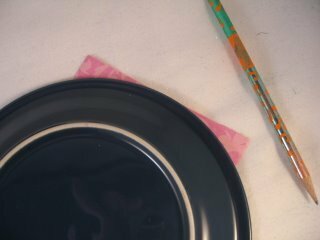 ...and trim off the outer corners following the curve. And the score lines are just visible....Yes they are!! With some strong glue added to the 2cms strip fold the card closed. I use wet glue. It is stronger than double sided tape and the last thing you want is for the box to burst open as you give it to the recipient. ...and push each of the scored flaps inwards to close the box. 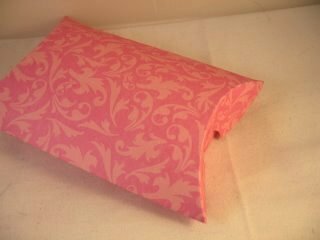 And there you have a very easy to make Pillow Box and I am sure you can think of something nice to put in it. And as long as you remember that whatever size Pillow Box you require make your card twice the width plus 2cms (1/2") and the length you need. 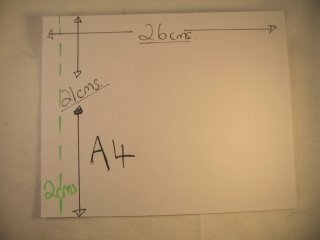 So if the box you want has to be 10cms wide then make your card 20cms + 2cms (for the strip to be glued) + the length.